“AZ Taxidermy Training, LLC” is a new and exciting venture in providing quality training to the aspiring taxidermist. Our personal goal is to provide the epitome of taxidermy education at reasonable costs to the student and backed by the finest instruction. Our company’s objective is to supply this same needed education along with the newest innovative taxidermy processes, techniques, and materials. 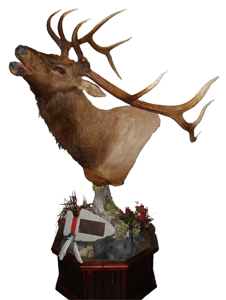 At Arizona Taxidermy Training, we provide in-depth professional taxidermy training for those individuals seeking a new challenge, or for the sportsman or hobbyist wishing to enhance and supplement an already exciting sporting lifestyle. Located in the heart of the beautiful White Mountains of Eastern Arizona.